The 2017 Ministerial Declaration of the UN High-level Political Forum on Sustainable Development (HLPF), July 2017. The Ministerial Declaration of Ministers of Health of the Non-Aligned Movement (NAM), May 2017. WHO’s new strategy for essential medicines and health products for 2016-2030 called Access 2030. A draft work plan of the Interagency Coordination Group (IACG) on AMR, which was established by the UN General Assembly. In July, the UN’s High-level Political Forum on Sustainable Development held its meeting in New York. The link between AMR and the 2030 Agenda was reaffirmed in the Ministerial Declaration of the 2017 high-level political forum on sustainable development (HLPF). The HLPF is convened under ECOSOC (the United Nations Economic and Social Council). 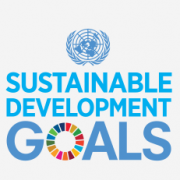 It gives guidance on follow‐up and review of the 2030 Agenda and the Sustainable Development Goals (SDGs). The HLPF Declaration follows in the footsteps of a one-day high-level event of political leaders at the General Assembly in September 2016 at which the link between AMR and Agenda 2030 was clearly established. The political leaders adopted a Political Declaration on AMR, which is contained in the UN General Assembly Resolution A/RES/71/3. The Political Declaration reaffirms that “the 2030 Agenda for Sustainable Development offers a framework to ensure healthy lives, and recall(s) commitments to fight malaria, HIV/AIDS, tuberculosis, hepatitis, the Ebola virus disease and other communicable diseases and epidemics, including by addressing growing antimicrobial resistance and neglected diseases affecting developing countries in particular, while reiterating that antimicrobial resistance challenges the sustainability and effectiveness of the public health response to these and other diseases as well as gains in health and development and the attainment of the 2030 Agenda”. The strategy unveils the new vision and strategic direction of the WHO to focus and reinforce its ability to help Member States achieve universal access to safe and quality-assured health products and universal health coverage, in light of the 2030 Agenda for Sustainable Development. – The WHO is already strengthening its actions to contribute to addressing the priority global challenge of AMR via monitoring and surveillance of antibiotic use, capacity building for prescribers and dispensers, awareness-raising of consumers, and by advocating for expanded and better use of appropriate and quality-assured diagnostics. – Going forward, a key aspect of WHO’s work on AMR will be the elements required for effective stewardship of antimicrobials at both national and global levels. – Going forward, the need for new antibiotics to respond to the threat of AMR will require the WHO to intensify its support of policy development to ensure that new products come through the pipeline to meet the needs of all countries. – The WHO has fostered the implementation of new concepts of R&D that address global health needs, including delinking the costs from price and volume to ensure affordability of any new products developed. The implementation of the Global Strategy and Plan of Action on Public Health, Innovation and Intellectual Property (GSPOA), the follow-up work to the report of the Consultative Expert Working Group on Research and Development (CEWG) and the report of the UN Secretary-General’s High-level Panel on Access to Medicines have highlighted the need to change the way R&D is financed. However, and despite many efforts, there is still no global agreement on how to ensure new products are developed that meet priority health needs. During the World Health Assembly in Geneva in May, the Non-Aligned Movement (NAM) held its annual meeting of Health Ministers and high officials. They issued the Declaration of the 10th Ministerial Meeting of the Ministers of Health of the Non-Aligned Movement (NAM): “Advancing the 2030 Agenda for Sustainable Development: Building Better Systems for Health” which also reaffirmed commitment to the 2030 Agenda and stressed the leadership role of the WHO in the implementation of the health related SDGs. The NAM Declaration expressed “great concern on the spread of antimicrobial drug resistance and its potential massive threats to global public health achievements and the urgent need for global action to address this threat and, welcoming the political declaration of the high-level meeting of the UN General Assembly on antimicrobial resistance and progress made in implementing resolution WHA68.7 on Global Action Plan on Antimicrobial Resistance; and the crucial need to support Member States with technical assistance to develop their national plan on antimicrobial resistance in response to the Global action plan”. NAM is a movement of more than a hundred non-aligned countries, most of them developing countries, which works mainly within the United Nations. It is significant that such an umbrella organization of so many developing countries are calling for urgent global action to address AMR and expressing the crucial need to support its member states with technical assistance to develop their national AMR plans. The draft work plan was open for comments until 31 August. The mandate of the IACG stems from the UNGA Resolution A/RES/71/3, in which Member States requested “the Secretary-General to establish, in consultation with WHO, FAO and OIE, an ad hoc interagency coordination group, co-chaired by the Executive Office of the Secretary General and WHO, drawing, where necessary, on expertise from relevant stakeholders, to provide practical guidance for approaches needed to ensure sustained effective global action to address AMR”. The IACG will produce a report to the Secretary-General for the 73rd session of the UN General Assembly. The IACG was established in May 2017. It is composed of a group of 28 organizations and experts, and it is co-chaired by the UN Deputy Secretary-General and the Director-General of WHO. Author: Viviana Muñoz-Tellez is the Coordinator of the Development, Innovation and Intellectual Property Programme (DIIP) of the South Centre.